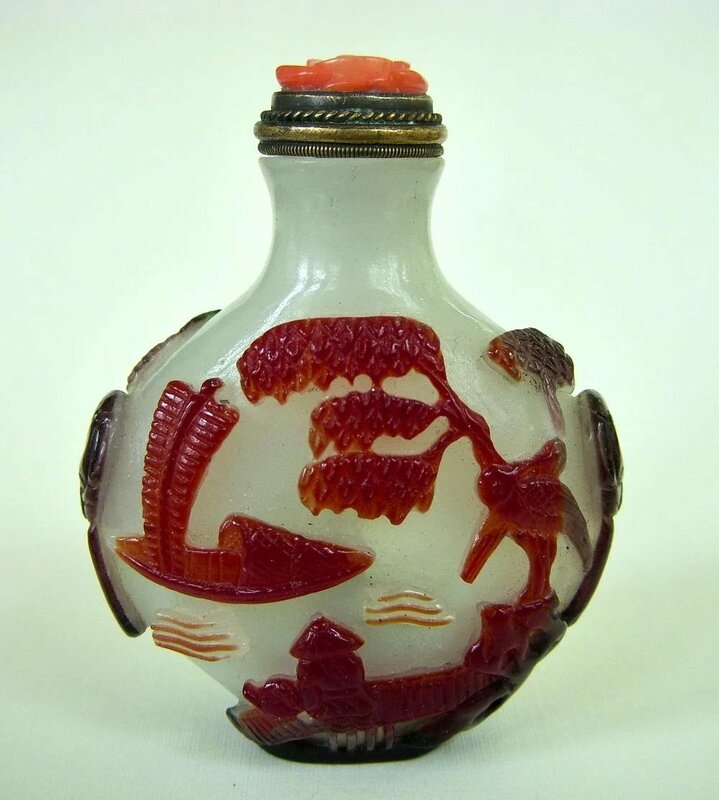 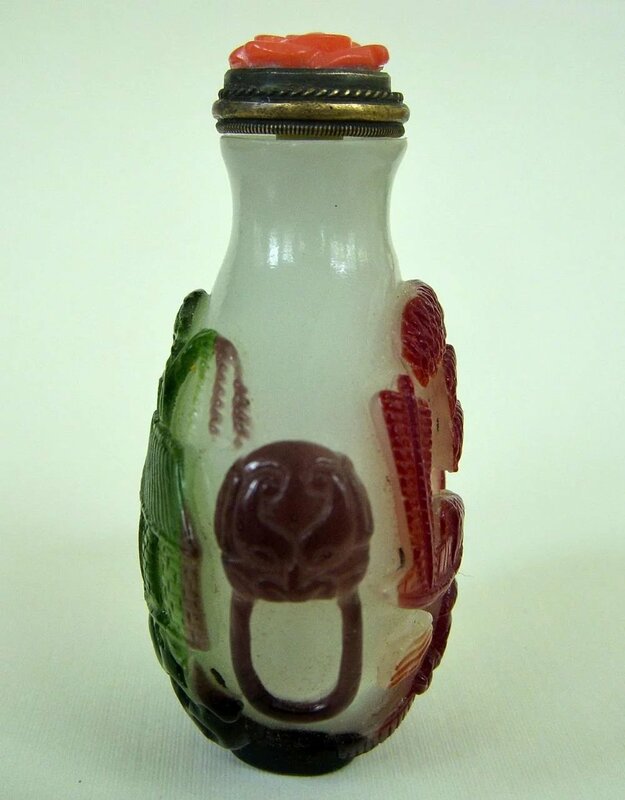 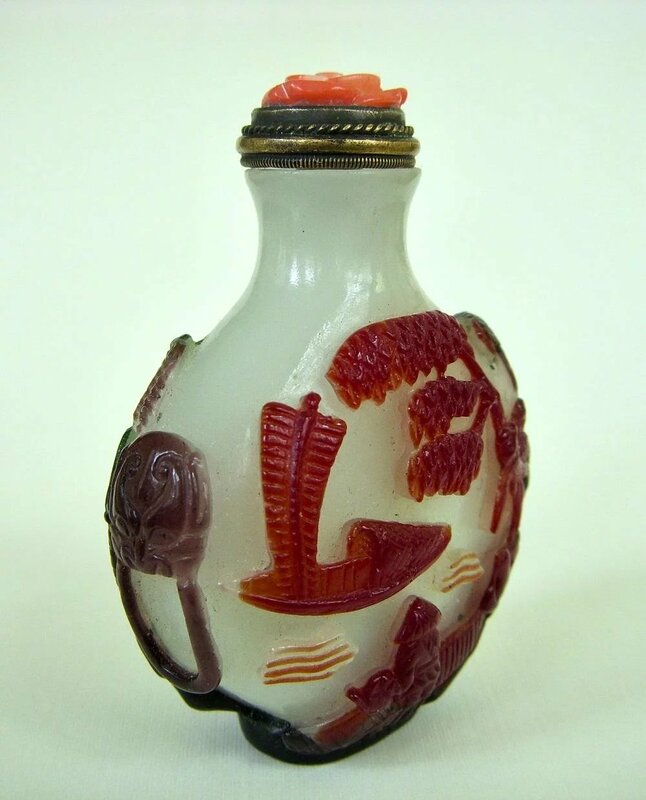 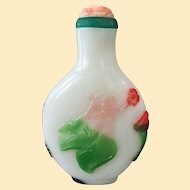 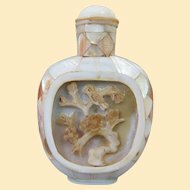 This snuff bottle is an example of the old school method of applying several colors of molten glass over a single background shell of color, usually but not always white. 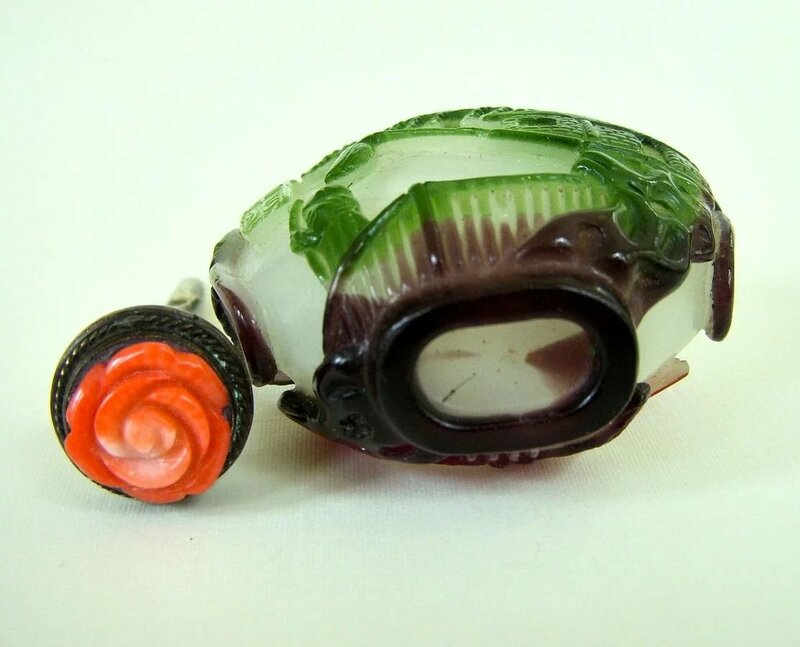 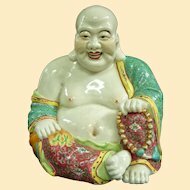 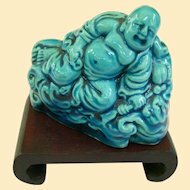 Then the individual colors are then carved out to make separate objects of individual colors. 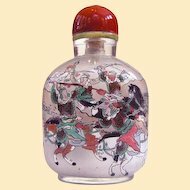 Here, rather than doing the usual, the artist carved a continuous scene that changes color with the color of the glass! 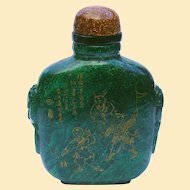 It's very well carved all around, with an archaic seal on one side that may be the artist's mark, and various other features like mask handles, a boat, a crane, etc. 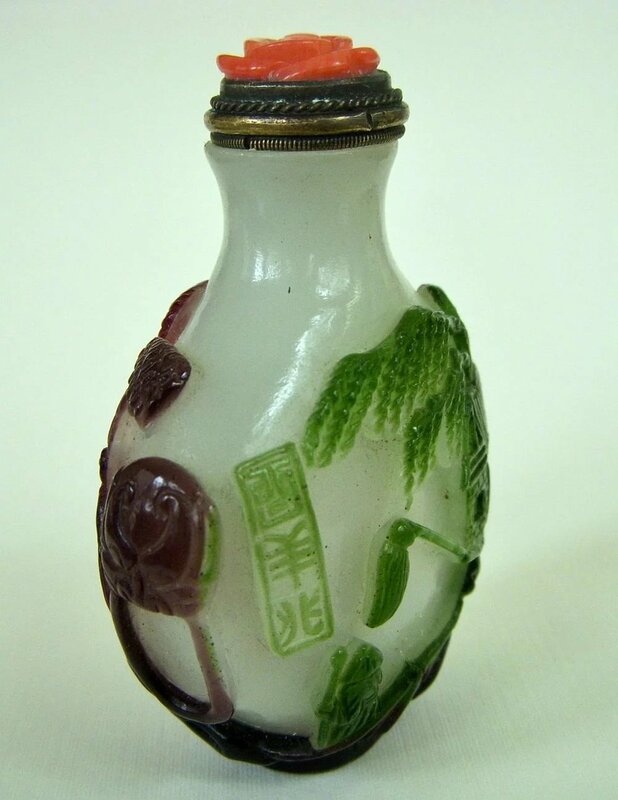 The bottle depicts a riverside village scene in maroon, purple, and green colors over a white background. 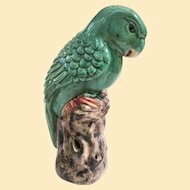 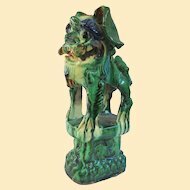 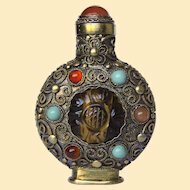 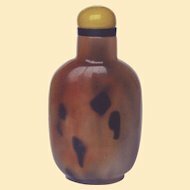 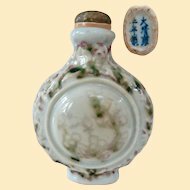 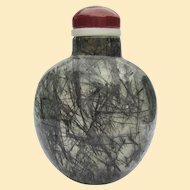 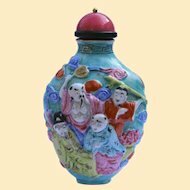 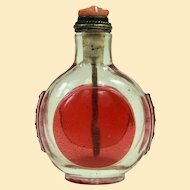 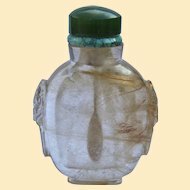 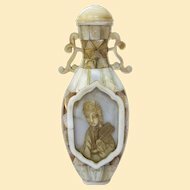 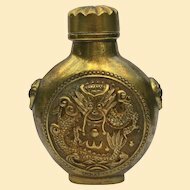 This is an unusual antique snuff bottle, worthy of any collection and free of chips cracks or damages. 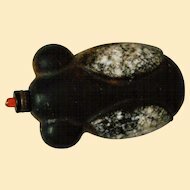 Pre-1940 (pre Republic period), Circa 1900. 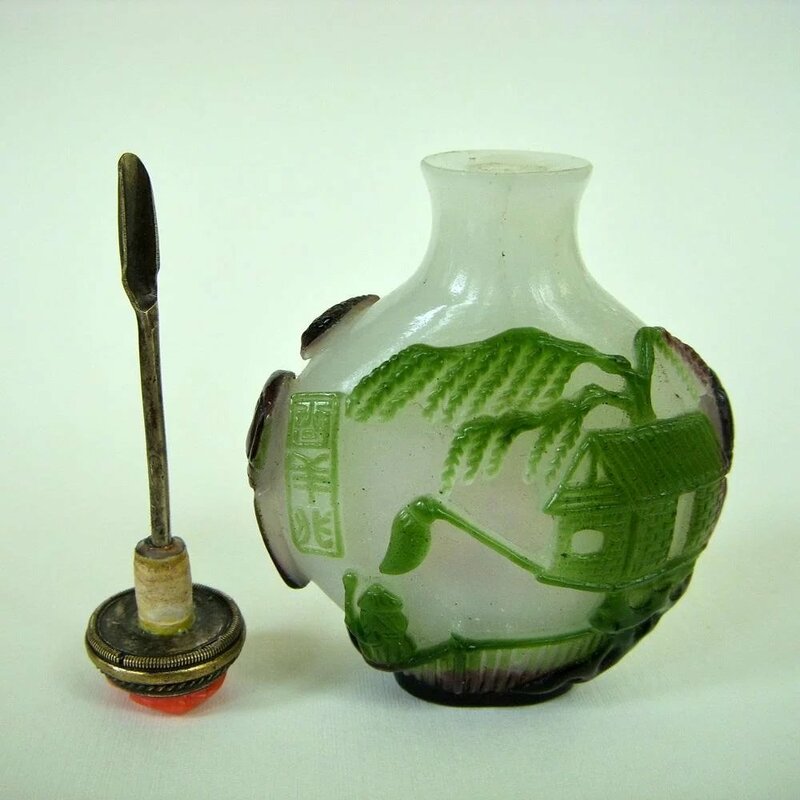 Nicely made coral and brass top, brass spoon and wound paper stopper. 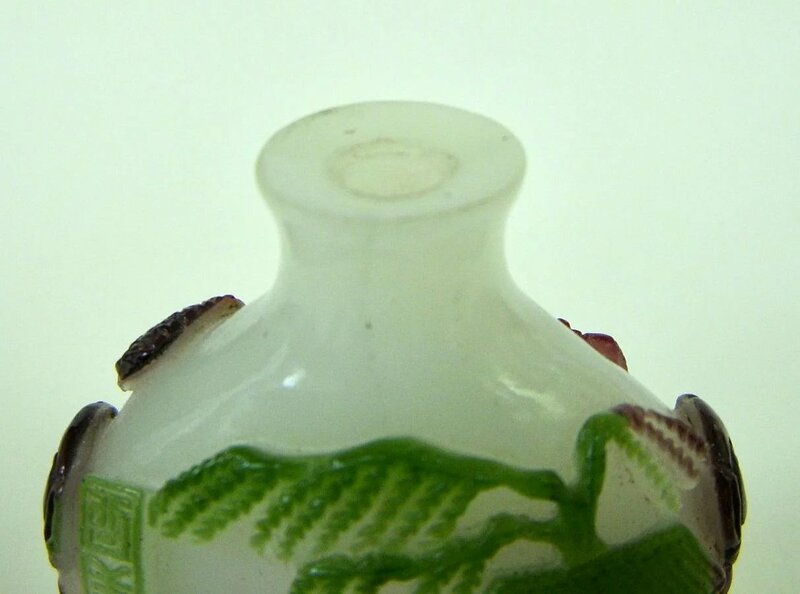 Measures 2.6 inches (6.3cm) including stopper.